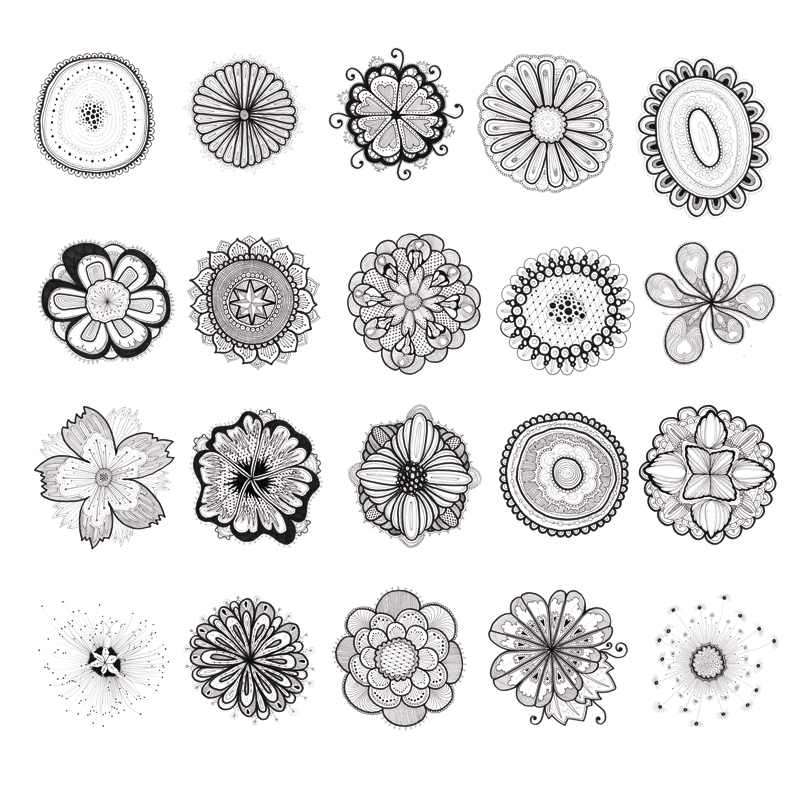 Quite a while back I drew these flower patterns, and I made them into a PS brush set, so I thought I would upload for others to download. (I have quite a few brush sets and PS actions, so if people are interested in them I will upload more.) Among other things, I made these postcards quite a while back: Flowered. I decided to make an account on deviantart just to save a little bit of bandwidth and space here on the blog. I am not a big fan of deviantart (even thought I used to have an account back there from 2001! I will not upload art to this deviantart account, but I thought I would use it to upload resources.) To download the brushes, you can click the picture above. Så sinnsykt fine! Du inspirerer meg så mye at jeg har laget en egen mappe for dine arbeider i inspirasjonslageret mitt. Takk for at du deler!